I thoroughly enjoyed Surlalune's series of Bluebeard-themed posts last month. I don't remember the first time I read that fairy tale, but I do remember feeling a thrill in reading such morbid material-like I'd discovered a secret that adults wouldn't have wanted me to know about. I'm certainly not as knowledgeable as Heidi, but as a musician, here's my contribution to versions of this tale: The opera "Bluebeard's Castle" by Bela Bartok, composed in 1911. "The basic plot is loosely based on the folk tale "Bluebeard", but is given a heavily psychological reworking—some would say psychoanalytic or psychosexual, (see Bruno Bettelheim and The Uses of Enchantment). Judith and Bluebeard arrive at his castle, which is all dark. Bluebeard asks Judith if she wants to stay and even offers her an opportunity to leave, but she decides to stay. Judith insists that all the doors be opened, to allow light to enter into the forbidding interior, insisting further that her demands are based on her love for Bluebeard. Bluebeard refuses, saying that they are private places not to be explored by others, and asking Judith to love him but ask no questions. Judith persists, and eventually prevails over his resistance. The first door opens to reveal a torture chamber, stained with blood. Repelled, but then intrigued, Judith pushes on. Behind the second door is a storehouse of weapons, and behind the third a storehouse of riches. Bluebeard urges her on. Behind the fourth door is a secret garden of great beauty; behind the fifth, a window onto Bluebeard's vast kingdom. All is now sunlit, but blood has stained the riches, watered the garden, and grim clouds throw blood-red shadows over Bluebeard's kingdom. Bluebeard pleads with her to stop: the castle is as bright as it can get, and will not get any brighter, but Judith refuses to be stopped after coming this far, and opens the penultimate sixth door, as a shadow passes over the castle. This is the first room that has not been somehow stained with blood; a silent silvery lake is all that lies within, "a lake of tears". Bluebeard begs Judith to simply love him, and ask no more questions. The last door must be shut forever. But she persists, asking him about his former wives, and then accusing him of having murdered them, suggesting that their blood was the blood everywhere, that their tears were those that filled the lake, and that their bodies lie behind the last door. At this, Bluebeard hands over the last key. Behind the door are Bluebeard's three former wives, but still alive, dressed in crowns and jewellery. They emerge silently, and Bluebeard, overcome with emotion, prostrates himself before them and praises each in turn, finally turning to Judith and beginning to praise her as his fourth wife. She is horrified, begs him to stop, but it is too late. He dresses her in the jewellery they wear, which she finds exceedingly heavy. Her head drooping under the weight, she follows the other wives along a beam of moonlight through the seventh door. 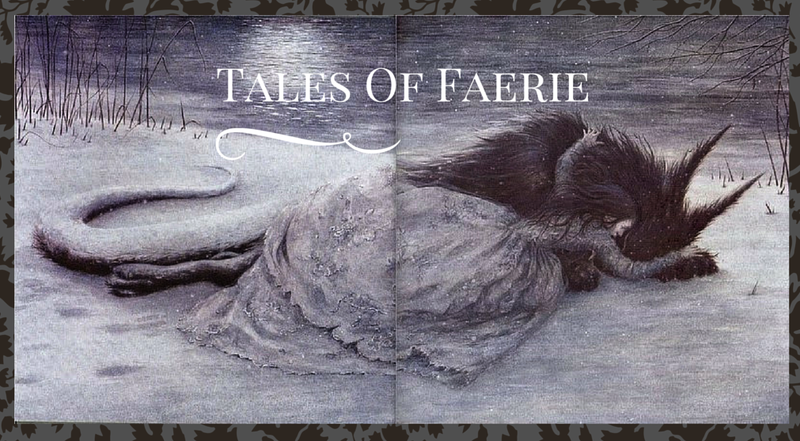 It closes behind her, and Bluebeard is left alone as all fades to total darkness." Wikipedia has more information on it than just the synopsis, but I figured that was most applicable to this audience. I found this interesting as well: "The stage directions call also for occasional ghostly sighs that seemingly emanate from the castle itself when some of the doors are opened. These have been implemented differently by different productions, sometimes clearly instrumentally, sometimes vocally and sometimes not easily identifiable." I'll be honest, I don't understand the significance of the changes to the story. A brief skim of online articles seems rather unhelpful-it's all very existential and tends to ignore the actual plot. Does anyone have any insights? Also-I've really enjoyed reading other interpretations for The Magic Drum in my last post. Please comment and share your thoughts, I'm really interested in seeing how different people read one fairy tale!